I posted about the youth auction last year. How fast the time goes by. One of our girls made caramel brownies. 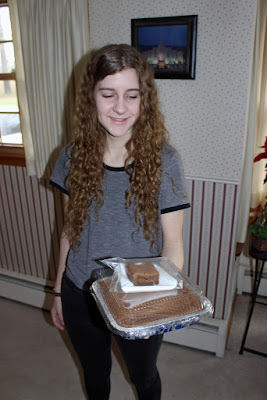 She made 2 batches so she could cut a piece and people could see the caramel layer. This recipe is divine! Another one of our girls made Mississippi Mud Cake! Takes me back to my childhood and my grandmother. Our oldest daughter, while not going to camp and needing funds, contributed a tin of cards. Since the cards were in the tin, this paper was out to show bidders what they were getting. Several Paper Pumpkin cards in this tin.